Out of our home base, Calgary, Alberta, Canada, Docktor Freight Solutions’ team of experienced project managers expedite trucking moves throughout North America, including cross border, and manage international heavy haul and over dimensional moves to any location in the world. Docktor Freight Solutions owns and operates a large fleet of trucks and hundreds of trailers in a variety of configurations with the ability to haul normal to very complex loads. We can move everything from pipe, steel, cement blocks, machinery and over dimensional loads anywhere in North America. Our dedicated team of Dispatchers, Freight Forwarders and Heavy Lift Bosses all ensure the fluid transfer of freight to and from any location, on time and on budget. Pride and dedication to being the best drives our team in every aspect of your freight move. Docktor Freight Solutions works with many different customers in numerous fields including the oil and gas industry, manufacturing, wind and solar power, forestry and the steel industry to name a few. Our breadth of abilities, equipment and relationships gives Docktor Freight Solutions the skill set to meet your freight needs. 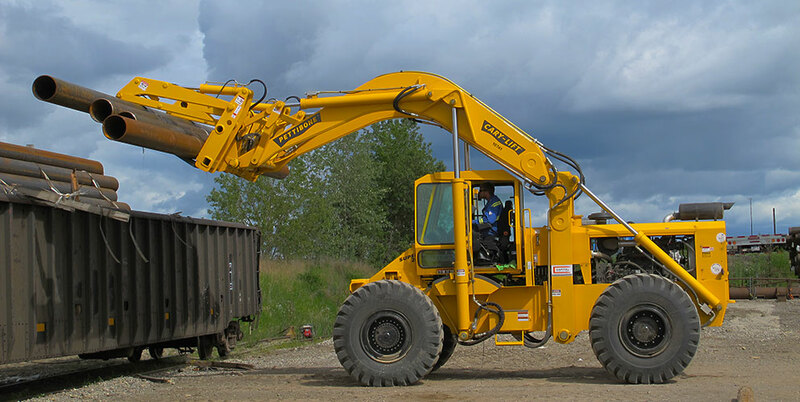 Our value added services include rail siding unloading and reloading capabilities, storage facilities, as well as a logistics team to manage your crane and jack- and-roll jobs. Our full service Logistics Division and fully integrated freight management solutions will locate a professional and qualified carrier to seamlessly handle your load. Through our extensive carrier network, we have access to thousands of trucks and trailers in every corner of North America. We hold our partner carriers to the same demanding standards that we have in place for our own trucks. Whatever your requirements, one call to Docktor Freight Solutions is all it takes. We handle all the details so you don’t have to.